Growing corn in the home garden isn't difficult, but it does require plenty of space. Not only does corn need room between rows for easy cultivation, it must be planted in multiple rows for adequate pollination. Typically, at least two to four 10-foot rows in recommended. Location: Corn prefers a sunny location with all-day sun if possible, but can be planted in any area that receives at least 6 to 8 hours of direct sunlight a day. 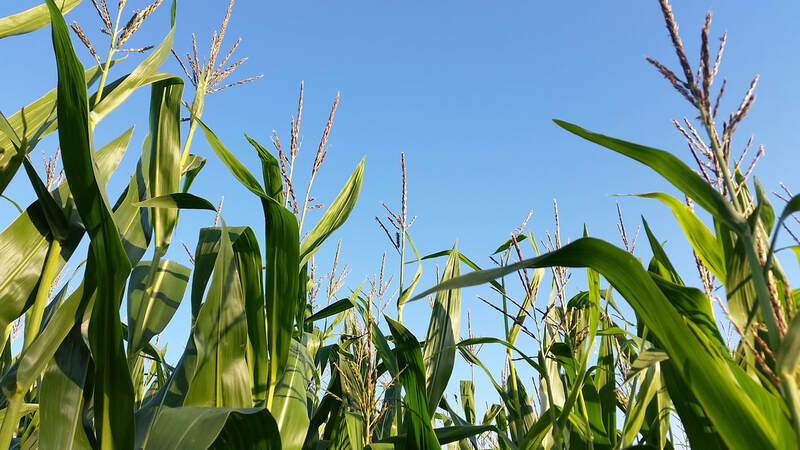 Keep in mind that corn grown in less sunlight often produces smaller and fewer ears than corn grown in full-day sun. Soil: Corn prefers loose, fertile soil. Amend the soil with a 2- to 4-inch layer of organic matter such as compost or well-rotted manure before planting. Work the organic matter into the top six inches of the soil with a garden tiller. Apply 5-10-10 fertilizer according to the application rate on the container and work it into the soil well to avoid injury to seeds or young plants. Preparation: Soak corn seeds in lukewarm water overnight to speed the germination process. Allow room in the container for the seeds to double in size as they absorb moisture from the water. Planting: Plant corn seeds when all danger of frost has passed in your area and the soil has warmed to at least 50 degrees F. Corn planted in soil with a temperature between 50 and 55 degrees may take three weeks to germinate, whereas corn germinates in 70 degree soil in approximately a week to 10 days. For this reason, waiting an extra week or two for the soil to warm is generally advised. Fertilizer: Side dress corn with 5-10-10 fertilizer when it is 4 to 6 inches tall. Sprinkle a light band of fertilizer down both sides of the row - spaced 4 inches from the base of the corn. Work it into the soil with a garden hoe, using care not to disturb the roots of your corn. Watering:Water corn deeply once or twice a week or whenever the soil feels dry one inch below the surface. Harvesting: Harvest corn when the ears are plump and firm. Typically, dark and shriveled "silk" indicates that the ear is ripe for picking. Use corn immediately after picking to retain the best flavor, as the sugar content decreases rapidly in corn once it is harvested. Preserving: Blanch whole ears of corn in boiling water for two minutes and then plunge into ice water to cool thoroughly. Place in freezer bags and seal tightly. To use frozen corn, boil in water until the kernels are crisp tender.